So Arnie starts posting excerpts from his book on his website. While covering the O.J. Simpson case for KCBS-TV in Los Angeles, Levin reported that prosecutor Marcia Clark had entered Simpson’s residence before a search warrant had been executed. When Levin was proven wrong, he attempted to blame his mistake on a technician who “mis-timed” the video’s clock during the editing process, however the original lawyer was Howard Weitzman! His action almost got the case dismissed. TMZ posted my totally incorrect illegally released medical records of Michael Jackson on TV as the lawyers were settling MJJ’s estate with a Will that is absolutely erroneous. It was signed on 7/7/02 in LA while Mjj, Al Sharpton and I were were in New York and Michael was speaking in Harlem. From his other writings/rants, he seems so all over the place, making it hard to believe everything/anything he says. He's really brainy though. Klein is a very intelligent man. Well that is an interesting title he gave to his book at least. "Michael Jackson. The truth will set you free"
I'd read your book Arnie. …however, intelligence sometimes sends one over the edge of madness. I hope Arnie isn’t slipping into darkness. Some of his rants are absolutely off the meter. Thats my impression,he is trying to promote his book.I dont trust the guy,and i dont find him credible at all. The Truth: I was never bankrupt and the embezzlers reported me to the Medical Investigator! The Truth is I was never bankrupt but I was embezzled primarily by Muhammad Khilji and Jason Pfeiffer.I reported my huge embezzlement to the Beverly Hills Police, Laguna Beach Police as well as eventually the LAPD. I was then told by 3 bankruptcy attorneys the quickest way to have my case heard was by declaring bankruptcy. Once in bankruptcy court Judge Richard Neiter and my Attorney David Neal( who guaranteed my cases would be swiftly heard) I learned held Stock in Private Bank of California. This is the very same bank through which most of my funds were embezzled. Long before he admitted he held stock In Private Bank of California Judge Neiter bifurcated my case such that after a year and a half not a single adversarial case has been heard. While Neiter should have recused himself he just moved the bankrutcy forward. While I begged my attorneys to do so not a single one has shown the integrity, moral principles and honesty to ask for his recusal. Then based on a totally fraudulent loan (I never signed it, it has the wrong address of my Laguna house, is made by a lawyer I never hired and is based on an illegal attempted sale of my home, ) Judge Neiter appointed a Trustee, Bradly Sharp. My Attorney at the time Peter Lively I later learned was in collusion with the Trustee when together they with held my SSI. When Nieter appointed a Trustee he accused me of living “High on the Hog.” Of all the horrific events that have occurred during this totally insane bankruptcy the verbal racist ridicule directed at me by Judge Richard Neiter is the most vile and painful of them all. According to Jewish law, pork is one of a number of foods forbidden from consumption by Jews. These foods are known as “non-kosher” foods. In order for a meat to be kosher, it must first come from a kosher animal. A kosher animal must be a ruminant and have split hooves therefore cows, sheep, goats and deer are all kosher, whereas camels and pigs (having each only one sign of kashrut) are not kosher.The pig is the only common livestock animal that has split hooves but which is not a ruminant – its external aspect makes it appear kosher, while it is not. During the persecutions of Antiochus IV Epiphanes, the Greeks forced the Jews to slaughter pigs in the Jerusalem temple, which did not improve the image of pork. Moreover, the Roman legion X Fretensis, that undertook the destruction of the Jerusalem Temple in 68, had a boar for an emblem, sealing its fate as a symbol of everything contrary to Judaism. Maimonides, the Jewish philosopher and legal codifier, who was also court physician to the Muslim sultan Saladin in the twelfth century, understands the dietary laws chiefly as a means of keeping the body healthy. He argued that the meat of the forbidden animals, birds, and fish is unwholesome and indigestible. According to Maimonides, at first glance, this does not apply to pork, which does not appear to be harmful. Yet, Maimonides observes, the pig is a filthy animal and if swine were used for food, marketplaces and even houses would be dirtier than latrines. Stewart Lee Allen, In” the Devil’s Garden: A Sinful History of Forbidden Food.” relates to the torment of European Jews (by the use of and reference to pigs andpork) by the Catholic Church, particularly during the Spanish Inquisition, right down to Hitler and his Nazis. . During the Bankruptcy hearing when Judge Neiter accused me of “Living high on the Hog” as the son of an Orthodox Rabbi this was singularly the worst verbal insult I have ever experienced. To follow this with his totally unsupported appointment of a Trustee who has gone on to illegally withhold both my critical medication and my living expenses has made me wonder at times if I am not in Auschwitz like Ellie Weisel with the number A-7713 tatooed on my arm. I am Arnold W. Klein, M.D., the doctor who pioneered the entire field of cosmetic dermatology and has raised over $300 million for HIV research. I have raised millions for breast cancer research and I was a member of the group that the discovered the first human gene. I have maintained a successful practice for more than 37 years and will not let this dishonest judge take everything I own and throw me on the streets. Just remember the man who they allowed to embezzle my funds is a Pakistani National who was working in tandem with a Muslim who is head of a group affiliated with Hamas. They were allowed to commit bank fraud. This is exactly why we have banking laws against fraud and how 9/11 and Mumbai were financed! Now if you look at the Website of Private Bank of California you will see among their directors members of a law firm Ziffren, Brittenham, Branca. Yes this is John Branca who signed Michael during the last few days of his life. And this is very same Attorney Mr Jackson fired in 20o2 because of total dishonesty. Regarding reports about me to the Medical Board were do to the actions of Jason Pfeiffer,Muhammad Khilji and David Rish. I have reported them all for violating HIPAA and getting Kimberly Wilson to investigate me based on totally spurious claims regarding my health. If the above was not enough Bradly Sharp the Trustee appointed by Neiter has illegally claimed a painting owned by my corporation with the assistance of the Asst. District Attorney of LA. Also Bradly Sharp and my bankruptcy attorney Peter Lively have illegally withheld my SSI causing an emergency hospitalization While Chartis my insurance company had been paying my alternative living expenses (ALE)which have no limit according to my policy. However, when Bradly Sharp became the Trustee he swiftly fired Jeremy Oscher and caused my ALE to stop. I was forced to move into another residence 70 miles from my office, while my Aunt Helene must live in the apartment over the garage at the So. Windsor home that has yet to be restored from the fire. .However because of electrical problems with no air conditioning the temperature in that apartment has risen to over 100 degrees. The work men, or others, who were up there have also left it total filthy. I now have a 76 year old aunt who cannot remain in this location because of the heat and she is unable to navigate the stairs. Furthermore the Trustee Bradley Sharp has totally halted the rebuilding of my residence at 553 S Windsor Blvd. If this sounds like a terrible tale my work is better than ever and with a few incredible friends like Frank Gehry,John Baldessari, Cher, David Rae, David Geffen and Richard and Laurie Stark. I know their is a light that will lead out of this situation. What they want to stop is the book I have already written. I was close to many people in my life and plan to continue my work until they drag me away. The Book about Michael is done and all the lies they said about me were to prevent me from writing it. He was a gifted genius in the fields of dance, music and performance art but they took advantage of him. They are again trying to take advantage of me again just like Irena Medavoy. Well I have strength and will survive. As per Brian Lourde please don’t blame Carrie just ask her for the truth if you even remember what that is these days? Maybe your dear friends Phillip Frederick Anschutz and his wife Nancy know the answer. It was a really interesting read. Well this is not a book excerpt but something he posted on his FB account. Thought I might put that here, since it´s about "The truth will set you free". Michael Jackson: The truth will set him free! Dr. Klein, your heading is confusing people. Reading your content, what does it have to do with Michael Jackson’s Death? I can’t make any sense here, of the connection! The bank through which my funds were embezzled PRIVATE BANK OF CALIFORNIA(PBC) has as 2 of its directors members of a law firm by the Name: Ziffren-Brittenham- Branca. John Branca is the lawyer who currently represents the Michael Jackson Estate. This authority has been questioned by many. I entered bankruptcy court after I had 20 million dollars embezzled with the major venue being PBC. I entered Bankruptcy court in order for my cases to be heard. the Judge Richard Neiter then would not allow a single case of mine to be heard but appointed a Trustee Bradley Sharp who withheld my vital. medication This resulted in a Catastrophic illness. i was very close to Michael and know a great deal about the events surrounding his final days when he resigned with Branca.. This information is known by very few but may have a disastrous effect on John Branca’s right to represent the Jackson Estate. To be totally clear my Judge Richard also also owns interest in this Bank. Please look at this link http://www.mj-777.com/?p=2759 . They would probably prefer I was not around to reveal what I know about his final days. A post from Arnie titled "Art or Soup: How one collects art and artists." Dated October 7, 2012. As a freshman at Penn I remember the arrival of Andy Warhol together with Edith Sedgwick. They had come to introduce his Pop Art. Joan Kron (now one of the editors of Allure) had staged the show and to me it was revolutionary. With his philosophy “Everything is beautiful, Pop is everything” he took elements of everyday life and created art. I had never experienced in the East. Also, the ambient light was visually stimulating. I still remember seeing the work of Ed Moses. He was profiled in Newsweek but to see his work in person with the artist was quite unique. I decided to transfer to UCLA to complete my training; little did I know that transferring residences was almost unheard of at that time. Furthermore I found UCLA Dermatology program to almost be a surgical specialty. I even dreamed one night they did appendectomies. I went on to become Chief Resident and published an article with the late great Victor Newcomber. I was told there was no room or young doctors and I would starve I beg and borrowed and finally found a 700 sq ft space in BH. I went from door to door introducing myself to anyone who would meet me and soon with the help of Retin-A I was fixing acne without light treatments or Voodoo . Soon I met Irene Dunne,Lana Turner,Loretta Young Henrty Fonda,Freddy Mercury, and eventually Popes,Presidents,Kings and real Queens. Certainly there were World Champion Athletes, a few Nobel Prize Winners (I have two in my family ) and many many more. It was through my relationship with Marcia Weisman (Norton Simon’s Sister) I met the world of art (some of which were performers too! ), Frank Gehry, Irving Penn, Ellsworth Kelly, Bob Graham, Ed Ruscha, David Hockney, Herb Ritss, Eric Orr, Chuck Close, Roy Lichtenstein, Jenny Holzer, Angelo Donghia, Michael Taylor, Charles and Ray Eames, Rose Tarlow, George Nelson, Phillipe Starck, Marcel Wanders, Ron Ronzek, Cher, Carrie Fisher, Penny Marshall,Frank Pollaro ,Jennifer Jones Simon, Waldo Fernandez and many many others would revolutionize the way I looked at Art and Architecture. Soon my house was overflowing with art and furniture. I was a collector! I must admit it was truly the relationship with my dear friend John Baldessari (from whom sprung David Salle and Cyndi Sherman) that began in 1978 that would ultimately define my vision of the art world. Equally important was my cousin Lisa Lyon’s relationship with Robert Mapplethorpe (his book” Lady”) and Jean Michel Basquiat that dragged me further into the world of art. It seems just yesterday I was discussing with Jean Michel how his broken arm and splenectomy from a car accident had shaped his life. Milton Wexler also taught me an incredible lesson. Never charge a person of the arts but trade services with them. You too have become an artist at the level you practice medicine. We are now in the 21st century and art and medicine have become profoundly similar. The best of each arises from human creativity. Medicine at its best is raised to an art form. Indeed, medicine often inspires creativity in artists as seen in the works of everyone from Leonardo da Vinci to Keith Haring. Dermatology has now become a field in which Minimally Invasive Aesthetic Enhancement has defined my existence since 1979. How strange it is to have developed something when it was a vocation and avocation at the same time. Many individuals put a value judgment on this and attack it in a manner similar to behavior of Savonarola’s in Florence in the late 1400′s (the original “Bonfire of the Vanities).” In my article “Bonfire of the Wrinkles” I noted all too well how David Kessler had attempted at great cost to save the world from Breast Implants. As for my relationship with Carrie Fisher it really began at a party at Cher’s birthday. Everyone greeted me that night with an air kiss but she put her arms around my neck and gave me a big long hug. Well she and I have been attached ever since. Whoever undertakes to set himself up as a judge of Truth and Knowledge is shipwrecked by the laughter of the gods. Well you have certainly have heard alot of lies about me lately but think. In 2007 I owned my homes, had no debt, had taken on the FDA, The Botox trial. And HIV ….. The David Geffen School of Medicine. I love Basquiat. His short life was tragic but he was a genius and very good friend to Andy Warhol. The story of his life and his rise and fall in the art world is amazing. Drugs were his fall from grace. He died of an overdose of herione at the age of 27 following the death of his best friend, Andy, the year prior. He was amazing. Is it just me or does Dr Klein seem to mesh several thoughts into one? It's confusing, scary, unbelievable, and thought provoking all in one. "If" this is true how is it possible that Dr Klein cannot get his attorney's (or one like T.M.) to go to bat for him or even take this to a higher court? It also seems as though Dr Klein is fighting this battle alone (again, if this is true). Yes @voice.....a meshing of [more than] several thoughts. Soup or art? Stew maybe, as it is all thrown in together into the one pot and set to simmer. Arnie has posted another tweet in regard to his book today. The story is written, soon it will be in yo hands. I have always wondered if Arnie was playing or was simply opportunistic. I will have to keep watching here too as 3 years down the track and I'm still in the dark re Arnie. I just hope his book is not too all over the place so I can follow it. Also the BAD image in his tweet today is another 'coincidence'. Poor, poor Arnie. Time to get a taste of his own medicine it seems. :thjajaja121: I think he's fallen off his rocker. Who could follow a book with all this gibberish? I think he's going mad, or trying to clean up his mess before Michael returns. why does this jump out at me more than the rest? what the heck could he possibly mean? I writing this book for Michael and his children. I was told not to write it by countless people. All I can say even if no one reads this book in this generation I have to leave behind the truth . You won’t hear this from his family members in that they barely knew this wondrous human. Michael was a treasure the type which we only find in dreams. For example.when he invited Ryan White to Neverland he only suppose to live 5 months.I remember telling Michael there was no problem swimming with Ryan contrary to what Michael’s plastic surgeon Steven Hoefflin said. After his weekend with Michael Ryan did not live 5 months he lived 5 years and the Aids legislation passed in Ryan’s name remains the most important legislation ever passed on HIV. 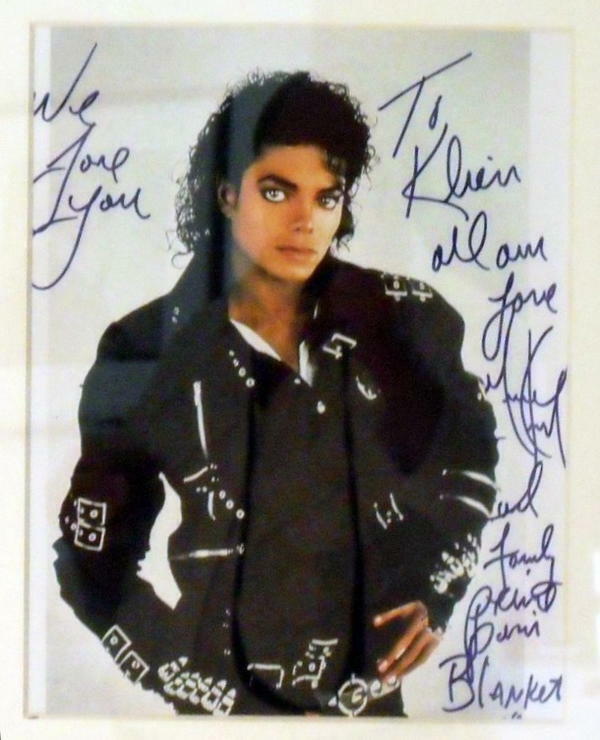 Everywhere Michael went the world changed….everyone wanted to meet him, to see him, to touch him. The suddenly came the pedofile accusations made by a psychotic dentist who drugged his son to get him to lie and Michael was a demon, a monster, a terror with his own sister calling him a Pedofile. The District Attorney and the lawyers went mad and the next thing I knew Michael was forced to have his genatalia photographed by a room full of people. The agony and torture then was just a preview of what we both would have to experience. Strangley or not so strangley if you know me l Michael became part of my family. We enjoyed each others company...he loved medicine and I loved him….He was harmony, a symphony, a composition that suddenly had turned into flesh and blood. The music business is about greed yet Michael was about melody. He did not walk but gently glided across time and Space as Fred Astaire said to me,” Michael Jackson does not dance he defines dance.” Well Michael wish we luck from high because I am about to expose the people whose greed killed you and pull down the walls they have built to shield their faces from the public who loved you! Michael you will be with me forever and some nights when I look way high beyond the sky I see a flash, some may call it a meteor but I know its you…. just you with that incredible smile and those terrible shoes putting a few new steps across the horizon . Does anyone know when the book will be published?